Three Characteristics of an Evangelist. It has been such a blessing to have people at Grace Point from many different states and denominations. All the evangelism efforts this week will be driven by one central theme, the Good news of Jesus Christ, the Gospel message. The central theme that Jesus Christ, born of a virgin, fully God and fully man, lived a perfect sinless life, suffered and died on a Roman cross. But God, raised him from the dead. Jesus now lives at the right hand of the father interceding for us, and all who call on the name of Jesus as Lord will be saved. Focusing on evangelism and the evangelist, we find in John 4:31-38 three characteristics of an evangelist. While our focus may be on those gifted in evangelism, this passage has something to teach all of us. In the beginning of John 4, we read that Jesus left Judea and journeyed to Galilee, in order to get to Galilee, he had to go through Samaria and a town called Sychar, the location of Jacobs well. It was at this well that Jesus met the Samaritan woman, and he proceeds to tell her everything about her life. She encounters the living God and Jesus reveals to her that he is the promised Messiah. She immediately believes and runs back to town and becomes a fiery evangelist, convincing the people to come out and meet Jesus, and they do. The disciples were trying to figure out why Jesus was talking to a Samaritan, and a woman no less. They being good Jews did not associate with the Samaritans, and in their minds, if Jesus was the promised Messiah, then he had come for the Jews only and to establish the nation of Israel once again. But here was Jesus preaching to a Samaritan Women. As they were trying to figure this out, the people from the town were coming in a large crowd towards them (v 30). The disciples tried to save the situation by suggesting to Jesus that it was time to eat and they needed to leave. But Jesus responds in his usual metaphorical way, “I have food to eat that you know nothing about” (v 32). Doing the work of the Father gives life. What is God calling you to do? What are your specific gifts given by the Holy Spirit that when you operate in them, you receive life? Serving the Lord is never a chore, the only time it becomes a chore is when we work in our own strength, either because of guilt or seeking the recognition of others. When you serve the Lord, when you are seeking to please an audience of one, you will find life and strength for the day. The Samaritan woman was now doing the Father’s will and finding excitement and enrichment in it. In verse 39 we read that she was going around the town telling people about Jesus, and many believed because of her testimony. 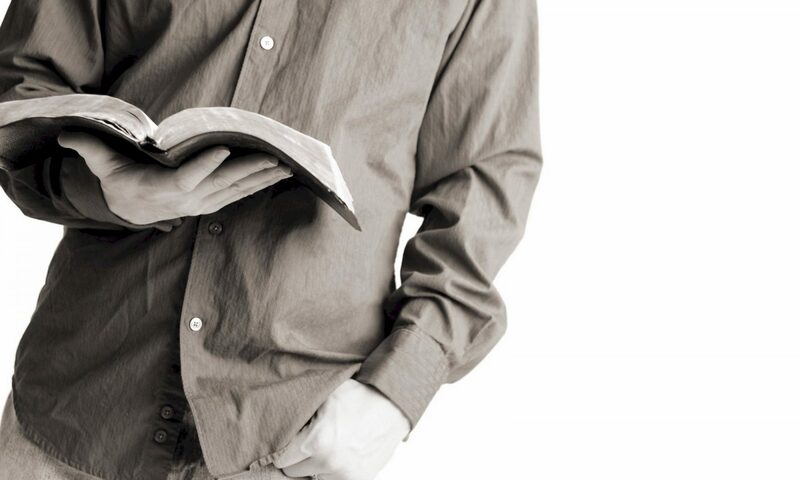 So, the first Characteristic of an evangelist that we see in this passage is devotion. Jesus was devoted to the task he had been given, and he finished the work the Father sent him to do. We too are to be devoted to the calling God has on our lives. I may be reading into the situation a little bit, but I don’t find it hard to believe that as Jesus was saying this, he wasn’t pointing to the fields of corn or some other crop, but rather he was pointing to the crowd of people coming down to them from the town. Jesus was pointing to them and saying, “open your eyes, here is the harvest”. Jesus could boldly declare that the Samaritans would accept his message because he had faith. Evangelism takes faith, faith that God will lead us to those that He has prepared in advance to receive the message. The Samaritans had been prepared, they were expecting Jesus to be the messiah and they were not disappointed. Every person who has given their lives to the Lordship of Jesus Christ has one defining characteristic, it is the hope of eternal life. The evangelist goes out, with the hope of a reward for their efforts, but the greatest reward of all is to be able to spend eternity with our Lord and savior (see Colossians 1:25 to 27). If you are have made Jesus Christ the Lord of your life, then he has a calling on your life, he has a perfect purpose and plan for your life, the Holy Spirit has gifted you uniquely for this purpose. These three Characteristics; Devotion, Faith and Hope apply to you and me today. Are we devoted to what God has called us to do? Do we have faith that God is about to use us for His glory? Do we have hope in the fact that whatever God has called us to do, it will have eternal results. Is there an area of your life that you wish you could have the opportunity to try again, or have a do-over? Every day God invites us to start afresh and see a different ending, this is the amazing truth of the grace of God. As we see in the third chapter of the book of Jonah, God is gracious to Jonah and gives him a second chance to be obedient to Him. Verse one starts with, “And the Word of the Lord came to Jonah a second time”. Jonah is the only prophet in the Bible who had to have his assignment given twice. One could say that Jonah didn’t obey God the first time because it wasn’t convenient, he was quite comfortable as a prophet to the Hebrews, and this call would change his ministry prospects dramatically. Quite often it would appear that the call of God is inconvenient. For example, God calls businessmen out of their careers and onto a foreign mission field. Many parents have been challenged by the call of God on their children. The call of God on a young person is often contrary to the plans that their parents had for them. Difficult conversations happen all over the world as the Lord touches people’s lives, and they feel compelled to obey the Lord. Throughout the Bible, God called people and they responded; Abram was called to leave his family and go to a place he had never seen. Jesus called fisherman who were getting ready for the next fishing trip, he also called a busy tax collector and a physician. The common theme of all the stories of God calling his children, is that when God calls, the only response is one of obedience. When God called Jonah, he expected Jonah to be obedient. There is incredible blessing in obedience, the journey is sometimes tough, but the blessings are eternal (See Luke 18:28-30). There is not much talk about obedience in modern Christian conversation, and sadly the truth is that we have made it so easy to be a “Christian”. We have made it a simple matter of coming to church and following some rules. In our Western mindset, we have lowered the bar of what it means to be a Christian. But being a Christian means dying to yourself every day, making a commitment to following the Lord every day, daily asking him for his plan for your life. Being a Christian affects every aspect of your life – where you go, how you spend your money, how you relate to your neighbors and how you behave when no-one is watching. Jonah had no idea what lay in store for him in Nineveh, but he went there in obedience and faith. Being obedient to God places us in situations where we are weak and vulnerable living a life of faith, that is what it means to be a Christian. Only when we are living in faith and are weak and vulnerable do we fully understand the power of the resurrection of Jesus Christ. 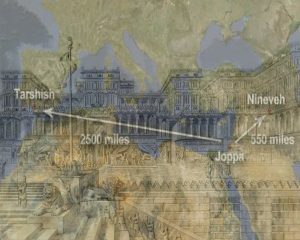 Jonah arrives after a 500-mile journey to Nineveh and begins his ministry. Nineveh is a large city for that time in history, and it takes 3 days for Jonah to walk through the city declaring his message. Jonah’s message is an interesting one, the word overthrown has two possible meanings. Firstly, it is the same word used in the account of the destruction of Sodom and Gomorrah, it was a complete destruction by God, a cataclysmic event that would have been widely known throughout the region. The second possible meaning is a turning upside down, a changing of headship, or a change of heart. So, the translation of the word “overthrown” could have a bad or a good outcome. If the people do not repent, it will end badly for them, should they however repent, it will be a good change that would lead to life. The story of Jonah in Nineveh was also a prophetic message to the People back home. Jonah – a prophet to the Hebrews delivers his most powerful message to the People of Israel by going to the enemy city of Nineveh and calling on them to repent. The Ninevites immediately repent, and turn to God. This is a far cry from the people back in the Northern Kingdom of Israel where Jonah normally taught. Rather In less than 40 years’ time, God was going to punish the northern kingdom because of their idol worship and immoral practices. Jesus spoke about this when he addressed the Pharisees in Matthew 12:41. This is also a prophetic picture of many in people in our churches, who claim to be followers of Jesus on Sunday, but sadly they are not saved. Looking back to Jonah, verse 5 says; “The Ninevites believed God”. Now I am certain Jonah was not the most passionate evangelist, I doubt he was trying his best to persuade the Ninevites, but the Lord used his message to save an entire city. The reason for his success lay in the twofold authority of his message. Our personal testimony is powerful, it is something every believer has, stories of brokenness and mistakes, stories of God’s blessing and God’s mercy. Our personal testimony has authority. Secondly, his message was not delivered with persuasive speech, but it had the authority of the word of God. In the first chapter of Jonah we read that God told Jonah to preach against the Ninevites (Ch 1:2). But in his second commissioning, God tells Jonah to proclaim the message the He would give him. That is the authority of the word of God. (See 1 Cor 2:1-5). God sees the repentance of the city and he relents and does not destroy the city. We live in a different era than Jonah’s time. While we are still sinners in need of forgiveness, the resurrection of Christ from the dead shows that our sins are dealt with, the price has been paid. God does not have to be persuaded to relent, rather he looks to his son, the spotless lamb that was slain and sees the price paid in full. Our part is to submit to the Lordship of Christ, to be born again and to live in the fullness and the freedom that Christ paid for. Have you ever been in a hopeless situation? A time when you were in a place in life where there was no human way for you to get relief or find a way out of the situation? Jonah was in a desperate situation. He had hoped to die, because his prejudice towards the Assyrian people in Nineveh was so great the he would rather die than preach God’s word to them. I think that in Jonah’s mind, there was a sense of relief when they threw him overboard, now it was over, there was no more tension between being obedient to the Lord or not. But, God was not done with Jonah. The Lord provided a large sea creature and commanded the fish to swallow Jonah. God is sovereign over all of creation, He made it and he controls it. This was not a “plan B” by God. Jonah, as we saw last week was a prophetic picture of Jesus, that Jesus used to rebuke the Pharisees who were asking for a sign from Jesus to convince them that he was the Messiah (Matthew 12:40). Jonah finds himself in the belly of a large sea creature, feeling the digestive acids beginning to eat at his skin, in the pitch dark he remembers the Lord. In the first chapter, Jonah does not pray or address the Lord at all, rather the sailors cry out to God and are saved. But now, Jonah realizes that this is no ordinary fish, God has his attention and he is beginning to re-evaluate his priorities. God is disciplining Jonah. Just as God is sovereign over all of creation, so too he has the right to discipline and correct his children (see Proverbs 3:11-12). When God disciplines us, it isn’t evidence of his lack of care, it is proof of His love for us. Jonah begins to repent and recognizes the hand of God in his situation. As we read Jonah’s prayer we see glimpses of hope, he begins to take his focus off the situation he finds himself in and begins to hope in God (Jonah 2:4 &6). Notice the second part of verse 6. “But you Lord my God, brought my life up from the pit” Jonah realized that he did nothing to deserve his salvation, he realized that he was at the mercy of God and that he had nothing in himself that was good. His salvation was only by the Grace of God. If we ever think that we are saved because of our good life, how much money we have given to the church, how many people we have helped, even how many people we have told about Jesus – we are horribly mistaken. We are saved by Grace alone through Christ alone, Jonah understood this. In verse 8 it seems that Jonah changes his line of thinking, as he goes from repentance and remorse to condemning people who worship idols. But I think Jonah understood that an idol is not necessarily a block of wood or stone carved into a shape. But rather an idol is anything that takes the place of the pre-eminence of God in one’s life. Jonah realized that his idol was his own patriotism and his own self-righteous prejudice against the people of Nineveh. He realized that his idol had turned him away from God’s love for him. Anytime we have anything in our own lives that takes the place of God, that is more important to us than God, it is an idol and because of that idol we turn away from God’s love for us, and we miss out on the best that God has for us. An Idol may be the love of money, or a relationship that you know is not right for you, or maybe the love of your own comfort, the list could go on. These things are examples of idols in our lives. As Jonah repents, he begins to realize his position with God, he begins to rejoice in his love for the Lord (Jonah 2:9). Remember that he is still in the belly of the whale. Jonah’s position has not changed, but his heart has changed. He begins to worship the Lord and praise the Lord in his darkest hour, literally – I don’t think the large fish had any internal lighting. When we praise God, it pleases Him, our singing and praise is an offering to God. When you are going through the tough times in life, the loss of a loved one, or financial struggles, your marriage is in a difficult place; when you are going through those tough times, that is when it is the hardest to stand up and sing praises to God. That is the sacrifice of praise, it is white knuckle praise. Praising God in the midst of your darkest hour because even though you don’t see it now, he is faithful and he will always remain true to his promises. When you are going through tough times, that is when it takes faith to praise and sing to God, that is a sacrifice of praise that pleases God. Jonah repents and rededicates himself to his ministry (Verse 9). As we read further in the book of Jonah, he becomes one of the most successful evangelists in the Bible. Talk about a turnaround. Being in the digestive juices of a whale will do that to you. The Lord knew Jonah’s heart and knew that Jonah’s repentance was genuine, and commands the fish to spit him out on the shore. What are you struggling with? It doesn’t matter what we are struggling with, it may be because of our disobedience or even our obedience, we must praise God in all circumstances. God never takes us through difficult times just to see how we will respond, he carries us through the tough times, in order for us to learn to trust him more, in order for us to grow in our relationship with him. Will you offer a sacrifice of praise to God today?